CSR in developing countries incorporates the formal and informal ways in which business makes a contribution to improving the governance, social, ethical, labour and environmental conditions of the developing countries in which they operate, while remaining sensitive to prevailing religious, historical and cultural contexts. The category of ‘developing countries’ is used broadly to include countries that have relatively lower per capita incomes and are less industrialised. For a listing of countries that might fall into this grouping, see the World Bank’s classification of lower and middle income countries. Far from being a unified field, debate on CSR in developing countries is extremely diverse, ranging from optimistic views about the role of business in society to highly critical perspectives. However, there seems to be an emerging consensus that developing countries provide a socio-economic and cultural context for CSR which is, in many ways, different from developed countries. CSR tends to be less formalised or institutionalised in terms of the CSR benchmarks commonly used in developed countries, i.e. CSR codes, standards, management systems and reports. Where formal CSR is practised, this is usually by large, high profile national and multinational companies, especially those with recognised international brands or those aspiring to global status. Formal CSR codes, standards and guidelines that are most applicable to developing countries tend to be issue specific (e.g. fair trade, supply chain, HIV/AIDS) or sector led (e.g. agriculture, textiles, mining). In developing countries, CSR is most commonly associated with philanthropy or charity, i.e. through corporate social investment in education, health, sports development, the environment and other community services. Making an economic contribution is often seen as the most important and effective way for business to make a social impact, i.e. through investment, job creation, taxes, and technology transfer. 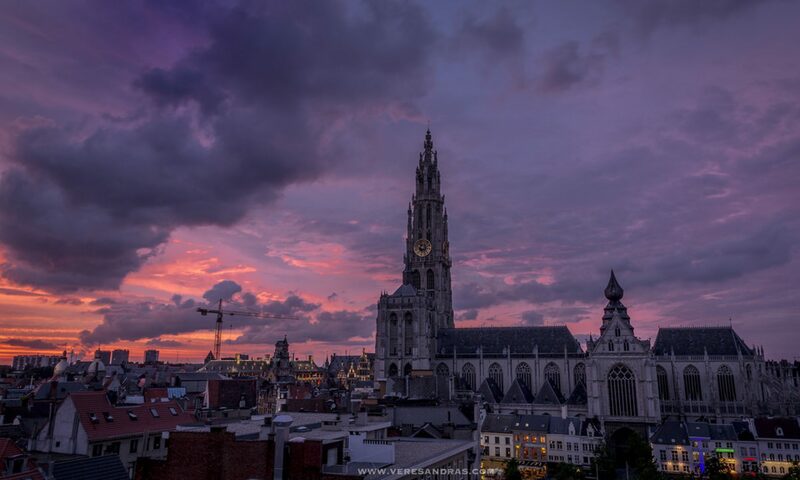 Business often finds itself engaged in the provision of social services that would be seen as government’s responsibility in developed countries, e.g. investment in infrastructure, schools, hospitals and housing. The issues being prioritised under the CSR banner are often different in developing countries, e.g. tackling HIV/AIDS, improving working conditions, provision of basic services, supply chain integrity and poverty alleviation. Many of the CSR issues in developing countries present themselves as dilemmas or trade-offs, e.g. development versus environment, job creation versus higher labour standards, strategic philanthropy versus political governance. The spirit and practice of CSR is often strongly resonant with traditional communitarian →values and religious concepts in developing countries, e.g. African humanism (ubuntu) in South Africa, coexistence (kyosei) in Japan and harmonious society (xiaokang) in China. Visser, W. (2007) Developing Countries, In W. Visser, D. Matten, M. Pohl & N. Tolhurst (eds. 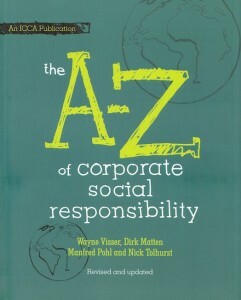 ), The A to Z of Corporate Social Responsibility, London: Wiley, 154-157.